The shifts involve greater dependency of the Gulf states on oil and gas exports to China, the world’s largest importer, at a time that the People’s Republic has been diversifying imports at the expense of Gulf producers. The shifts first emerged in 2015 when Chinese oil imports from Saudi Arabia rose a mere two percent while purchase of Russian oil jumped almost 30 percent. Russia rather than Saudi Arabia has been for much of the period since China’s biggest crude oil supplier. The shifts were reinforced by the US shale boom, a resulting drop in US imports from the Gulf, and President Donald J. Trump’s tougher trade policies. “With the Trump administration, the pressure on China to balance accounts with the U.S. is huge... Buying U.S. oil clearly helps toward that goal to reduce the disbalance,” said Marco Dunand, chief executive and co-founder of commodity trading house Mercuria. At the same time, China became in 2016 the largest investor in the Arab world with investments worth $29.5 billion, much of which targeted infrastructure, including the construction of industrial parks, pipelines, ports, and roads. Compounding the impact of shifts in Chinese energy imports is the fact that despite support for Russian policy in the Middle East, Beijing increasingly fears that Moscow’s approach risks escalating conflicts and has complicated China’s ability to safeguard its mushrooming interests in the region. Viewed from Beijing, the Middle East has deteriorated into a part of the world in which regional cohesion has been shattered, countries are fragmenting, domestic institutions are losing their grip, and political violence threatens to effect security and stability in northwest China. China’s concern is likely to increase if and when the guns fall silent in Syria and the country begins to focus on reconstruction. Already China worries that Uyghur foreign fighters in Syria and Iraq are heading to areas closer to Xinjiang in Pakistan and Afghanistan. An end to the war in Syria, moreover, opens up economic opportunity but is also likely to sharpen rivalry between Russia and China as that will play to China’s strength and highlight Russian weaknesses. China’s interest in Syrian reconstruction goes beyond dollars and cents. "Syria can be a key logistics hub for China. Its history is the key to bringing stability in the Levant, meaning it has to be incorporated into China's plan in the region. From a security perspective, if Syria is not secure, neither will (be) China's investment in neighbouring countries," said Kamal Alam, a Syrian military analyst. 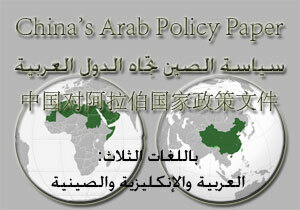 All of this raises the question of how China can best stand up for its interests against the backdrop of a perception among Chinese scholars that China’s unsuccessful efforts to mediate in multiple conflicts in the Middle East, including Israel-Palestine, Syria and the Gulf crisis that pits a United Arab Emirates-Saudi-led alliance against Qatar, have failed to position the People’s Republic as a credible alternative to the United States and Russia. Pouring fuel on the fire, is the fact that Chinese support for Russian policies in the United Nations Security Council and elsewhere has effectively identified Beijing with Moscow rather than allowed it to differentiate itself. The Middle East has already forced China to move away from long-standing principles that underwrote its foreign and defense policies for decades like non-interference in the domestic affairs of others and a refusal to establish foreign military bases even if officially they remain valid. China has in part been able to maintain the dichotomy between theory and practice by evading public discussion on issues such as whether and under what circumstances China should use military force or apply economic pressure as it did for example when it expressed in 2016 discontent with a South Korean decision to deploy a US THAAD (Terminal High Altitude Area Defence) anti-missile system. Beyond the establishment of China’s first foreign military base in Djibouti, Chinese special forces have been advising Syrian president Bashar al-Assad’s regime in its operations against jihadists that include Uyghurs in their ranks and have operated on the Afghan side of the Central Asian nation’s border with the People’s Republic. China scholar Andrea Ghiselli noted that Chinese diplomats, scholars and journalists seldom focus on security in public, pointing instead to “the positive elements” of China’s relationships in the Middle East. The Gulf crisis has rendered the six-nation Gulf Cooperation Council that groups Saudi Arabia, the United Arab Emirates, Qatar, Kuwait, Oman and Bahrain impotent and complicated negotiations for a free trade agreement with China. Similarly, a potential withdrawal this month of the United States from the 2015 international agreement that curbed Iran’s nuclear program would likely put China at odds with Middle Eastern proponents of a tougher attitude towards the Islamic republic like Saudi Arabia, the UAE and Israel. The hardening of Middle Eastern fault lines is likely to make it increasingly difficult for China to remain aloof and emphasize economic and trade relationships without getting sucked into the region’s multiple conflicts. Saudi Arabia has so far refrained from making economics a fixture of its relationships in its effort to counter rising Iranian influence in the Middle East, and together with the UAE, has not attempted to force third countries to abide by its boycott of Qatar. The alliance has so far not acted on Mr. Ghobash’ suggestion, in part because the international community, including China, have called for a negotiated end to the crisis and refused to back the Saudi-UAE position. The shifts in China’s energy imports coupled with China’s need to protect its interests means that the People’s Republic may be in a position to leverage its power in alternative ways. “This…gives China significant leverage to impose its preference in oil contracts and improve its own energy security. It also means that China has the capability to greatly determine the economic future of countries currently engaged in all the regional hotspots, a costly endeavour that cannot be sustained without matching capital inflows,” Mr. Ghiselli said. “Thus far,” he added, “China has bought oil and gas from both Sunni and Shia countries without showing evident preferences. However, were China to do otherwise, its actions might bring produce deep changes in the region in ways not different from those of a military intervention in favour of one of competing parties."